Vessel Importation: Beneteau Oceanis 473 "Orion"
Jane I. was recommended by fellow friends and yachties to contact Vicsail for advice. They were looking for information for the importation of their yacht. Brendan Hunt met her friends some years ago in France while on a work trip. They own a 2003 Beneteau Oceanis 473 “Orion” which they purchased in the UK in 2013. After spending some seasons in the Med and the Caribbean, they were looking into crossing the Pacific back home. They then got in touch with Vicsail to help them with the importation of their vessel. Vicsail works with a customs agent to simplify the importation process. This happens by providing a boat valuation for calculation of duty and taxes. To give our customer the best understanding of the process, we also provide extra advice. Information such as border force and quarantine which ensure a quick and painless process for our customers. Furthermore, Vicsail can assist with local registration. 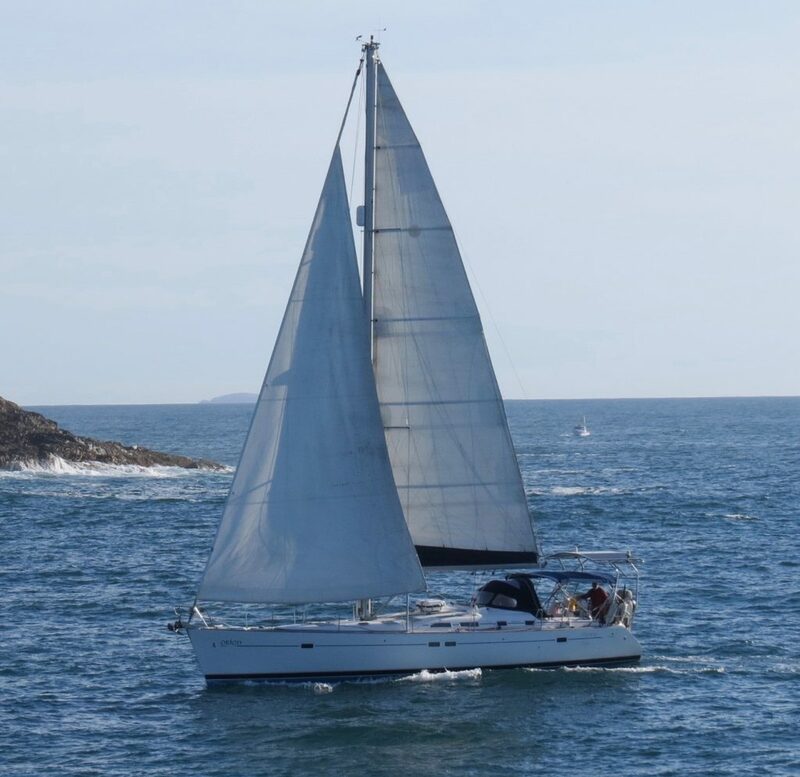 Vicsail offers its experience, knowledge and expertise to bring Jane and Greg’s boat to Australia through Bundaberg, location chosen by the clients. Our accountant, Sue Griffiths, and our CEO, Brendan Hunt, were responsible for the valuation of the boat. In addition to the organisation of the whole importation process and orientation of clients of each stage and step of the way. The feedback from Jane was that the clearance “went through incredibly fast. The final paperwork was submitted on Friday and by lunchtime Monday, it was cleared. We were thrilled. Thank you for your assistance as well. We definitely made the correct choice in selecting Vicsail. Greg and I have recommended you to others as well. We can now take our time sailing down the coast to home as the weather permits.” – quote from clients’ email after the transaction.